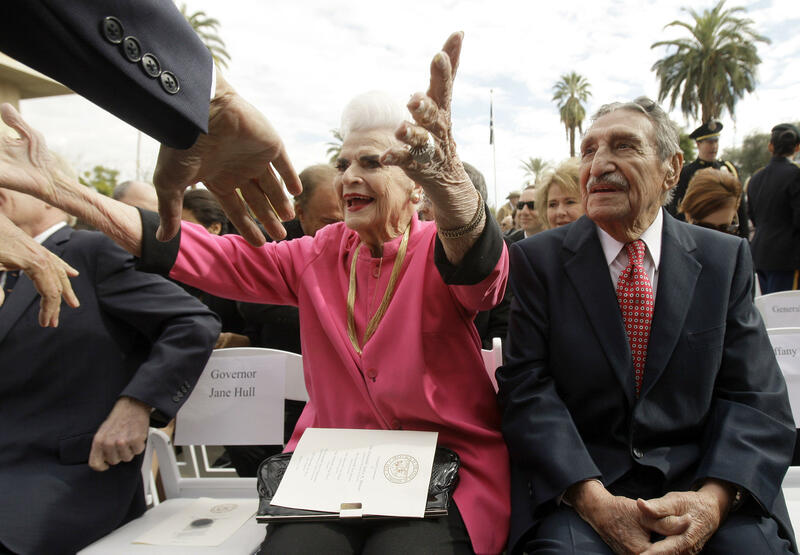 PHOENIX Rose Mofford, Arizona’s first female governor and a shepherd for the state during a period of political turbulence, died Thursday, a former spokeswoman said. She was 94. She died at a hospice she went to last month after being injured in a fall, former Mofford spokeswoman and longtime friend Athie Hardt said. Mofford, a Democrat, was appointed on Oct. 20, 1977, to the office of Arizona Secretary of State by Gov. Wesley Bolin who succeeded to the governorship upon the resignation of Gov. Raul Castro who had been appointed U.S. Ambassador to Argentina, CBS affiliate KPHO reported. Secretary Mofford was elected to the office in the Nov. 7, 1978, general election and was re-elected in 1982 and 1986. Although Mofford was Arizona Secretary of State when Gov. Wesley Bolin died on March 4, 1978, she was not eligible to succeed to the Governorship since she had been appointed to the office, not elected. Mofford succeeded to the governorship from the office of Arizona Secretary of State on April 5, 1988 due to the impeachment and Arizona State Senate conviction of Gov. Evan Mecham and she served until March 6, 1991 when the results of the 1990 runoff election for governor became final. Mofford was a Democrat in a traditionally Republican state who was revered by members of both parties. Her death quickly prompted an outpouring of condolences from Democrats and Republicans alike. “Rising through the ranks of state government to our state’s top office, she shattered a once-thought unbreakable glass ceiling and served as an unparalleled role model to many,” said Republican Gov. Doug Ducey, who ordered flags be lowered to half-mast in her honor.